Disclosure – This post was sponsored by Nature Made® as a part of an Influencer Activation for Influence Central. I’ve always believed in the importance of taking multi-vitamins for overall health and wellness, plus I take Omega 3 Fish Oil to support a healthy heart. When I was pregnant with my now ten year old quadruplets and discussing what supplements I took with my doctor he suggested increasing my Omega 3 intake since we knew the babies would come early and wanted to give them the best head start possible. There are 56 fabulous bloggers participating in the Blogmania giveaway hop that will run through midnight on April 30th. Each participating blogger has a prize valued at a minimum of $100 so there are literally thousands of dollars worth of prizes to be won. Be sure to spend some time entering through the linky at the bottom of this page after you’ve read all about our sponsor Zeal and entered to win a $100 Walmart gift card! I’ve always been a big believer in vitamins and supplements but when I was pregnant with our quadruplets six years ago we really learned about the huge difference they can make. We learned that quadruplets could never make it full term but our goal was to carry them as long as possible to give them the best chance of being healthy. Our doctor helped us come up with a special course of specific vitamins that included extra omega 3s, folic acid, iron and magnesium for the babies. Of course our quads still came early but I carried them to 26 weeks which is terrific for multiples and they were big and healthy with the smallest at 4 pounds even and the biggest at 4 pounds 12 ounces. We fully believe that it was a well rounded course of vitamins that made all the difference in the pregnancy and now I’d never be without my vitamins. The thing that is so cool about Zeal Wellness Formula is that one six ounce serving, which you mix yourself, is a complete nutritional blend including over 100 essential nutrients that is the equivalent of taking 56 different pills! All you do is add water or fruit juice to the bottle, mix and drink. Zeal has a wild berry flavor and doesn’t contain any artificial sweeteners so there’s no weird aftertaste. I tried it with water so that I could give you a report on what it really tastes like and I really liked it and the convenience of mixing it in its own bottle. On the other hand, we’re crazy about smoothies at our house and my preferred method of taking the Zeal is to just add the powder to a smoothie. It’s super easy and yummy! Check out the testimonials from happy customers like this one from Linda L.
The fabulous people at BuyZeal.com have graciously sponsored this giveaway and one lucky reader will win a $100 Walmart Gift Card! Just do any or all of the entry methods listed in the Rafflecopter widget below and you’ll be entered to win. Buy 1 Get 2 Free From Puritan’s Pride! Best Sale of the Year – Buy 1 Get 2 Free at Puritan’s Pride Vitamins! Offer good from May 2 through June 16! 5 For the Price of 2 at Puritan’s Pride! Botanic Choice has an excellent selection of natural herbs, supplements, homeopathic remedies and essential oils. Through the end of January when you use promo code [coupon code=”15″ /] you can take $10 off a $10 or more purchase. Standard shipping starts at $5.95 or you can get free shipping with orders over $50. 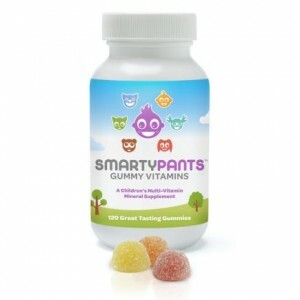 I love to request free samples for things that we actually need because they often come with coupons and you all know how I feel about coupons 😉 Head over to Facebook to get your free sample of Smarty Pants gummy vitamins, and you’ll also be entered for a chance to win six bottles. Thanks to Crystal at MoneySavingMom! 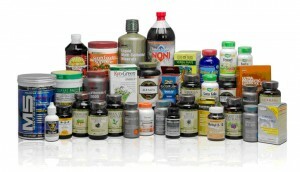 Biggest Vitamin Sale of the Year – Buy 1 Get 2 Free!